Sales prices and rents for both apartments and villas continued to soften in the first 3 months of 2018, with little prospect of improvement in the short to medium term, according to Chestertons Mena. While apartment and villa rents fell on average by 3 per cent (quarter on quarter), sales prices for apartments and villas dropped by 1 and 2 per cent respectively, over the same period. Ivana Gazivoda Vucinic, head of consulting and valuations and advisory operations, Chestertons Mena, said: “Sales prices and rents are expected to face further correction during the rest of this year due to increasing supply encountering weakening demand. “Overall, the tough macroeconomic conditions and sluggish population growth have both impacted the Abu Dhabi property market over the last few years. However even with rising oil prices, other major economic triggers and increased government spending might still be required to underpin the recovery of the real estate market in the UAE capital,” added Vucinic. On average, sales prices for apartments decreased 1 per cent compared to Q4 2017. 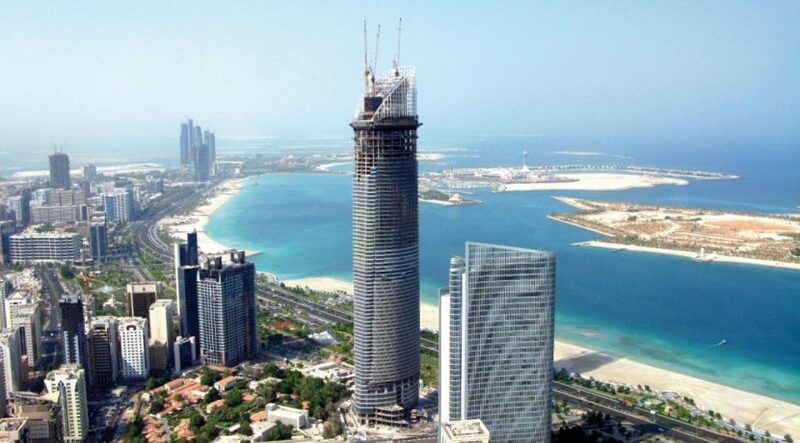 The highest decline was recorded in Al Reef, where prices fell as much as 7 per cent to Dh923 per sqft, followed by Al Reem Island which fell by 3 per cent to Dh1,152 per sqft. “The only area to witness an increase in apartment sales prices was Saadiyat Island, which was up 7 per cent to Dh1,497 per sqft,” added Vucinic. Villa sales prices fell on average by 2 per cent, however several communities remained resilient recording no change or negligible declines. Al Raha Beach witnessed the largest decline with a quarter-on-quarter decrease of 10 per cent to Dh1,150. In the rental market, apartments and villas both witnessed declines of 3 per cent on average. For apartments, the highest recorded decline was on Corniche Road, which declined 9 per cent across studio, 1, 2 and 3-bedroom apartments. Mohammed bin Zayed City was the only area to show an average increase in price, predominantly attributed to a 10 per cent hike in studio rents to Dh32,00 per annum. In comparison, a studio apartment in Al Raha Beach is available for Dh82,000 per annum, Dh49,000 in Al Reef, Dh105,000 on Saadiyat Island and Dh50,000 in Khalifa City. “Studio apartments are expected to become more resilient to negative trends as residents continue to downsize to more affordable accommodation. Therefore, due to smaller units returning greater yields, there could be opportunities for investors going forward. This should be tempered, however, by the fact that more choice is available to residents and this will likely to be detrimental to apartment prices in secondary areas,” added Vucinic. The villa rental market witnessed softening across the board. It was only Al Ghadeer that showed resilience to the downward trend, where a 3-bedroom villa remained at Dh120,000 per annum quarter on quarter. Contrary to apartment rents, it was Mohammed bin Zayed City that witnessed the largest average decrease across 3, 4 and 5-bedroom villas, at 8 per cent.